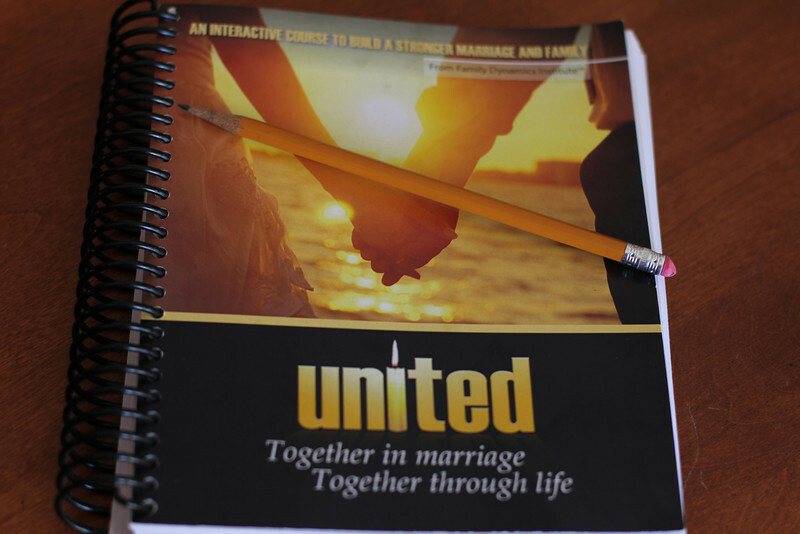 Since the new year is the time for fresh starts and renewed commitments it has been the perfect time for Scott and I to take a marriage class through our church. Okay, truth, any time you decide to work on improving your relationship is the perfect time, not just the new year. The class will meet for eight weeks and we are starting our third week. There's also homework that we do independently and together. Now, just like the first rule of Fight Club, you don't talk about Fight Club, meaning I'm not going to be blogging about the class in specifics, but I might share my personal perspectives from time to time. Scott and I took another marriage class based on Love Busters and His Needs, Her Needs somewhere in the ballpark of ten or twelve years ago, which was not only wonderful, it helped strengthen and grow our relationship on so many levels. Of course that was before Annelise and ten or twelve more years of marriage and life in general. Somewhere along the way a general marital malaise set in. And now the time has come for us to shake it off. So I (we) am (are) quite excited and I (we) am (are) enjoying the class so far. We are talking more about more important things than we have in years. We're both more aware of what we say and how we say it to the other (you know, like (my) facial expressions and body language, and general sighing and emoting). We're really trying to listen to the other person without distractions and without interrupting (huge).